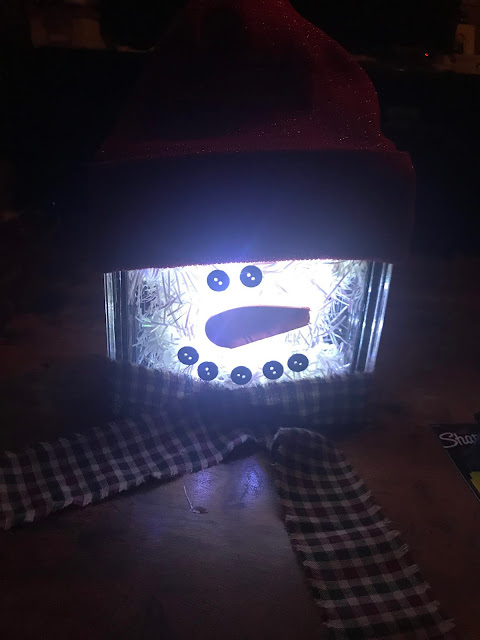 This Glass Cube Light Up Snowman is so simple to make. Hi Everybody! I wanted to share my latest craft project with you. This one is so simple to do and costs about 10 dollars to make. To make this you will need the following supplies. Although I'm not much of a snow lover, I AM a snowman lover! Thank you Carla. I wish you luck if you make one. There are so many online craft stores too Tamra. Give it a try.